"I can shoot a partridge, with a single cartridge." "I can shoot a sparrow, with a bow and arrow." --From "Anything You Can Do I Can Do Better"
'LILIAN'S LAST DANCE' WAS WRITTEN WITH A FLASHY BROADWAY MUSICAL IN MIND! WHY NOT? had the idea to use one of the stories as a key to the plot involving Lt. Cable and the island girl, Liat. and based on the Broadway play from Roald Dahl's book. AS WE DEVELOPED the characters for "Lilian's Last Dance," we thought of movies made from books -- and of books that went on to become famous musicals. After decades of reviewing plays and seeing theater on Broadway, at the Oregon Shakespeare Festival and London's West End, co-author Bill Jones and I had a feel for a theatrical plot. We of course thought of "Annie Get Your Gun," and of "Les Miserables," "Phantom of the Opera," and "South Pacific." James Michener’s Pulitzer-Prize winning "Tales of the South Pacific" was a collection of short stories set during World War II. It provided the basis for one of Rodgers and Hammerstein’s biggest hits. The great director Joshua Logan (see this blog) came up with the initial concept of using the story “Fo’ Dolla” as the main plot. This segment dealt with Lt. Cable, his love for the Polynesian girl Liat, and the tricks of Bloody Mary, Liat’s scheming mother. But the team decided this storyline was too close to the opera "Madama Butterfly," so emphasis was shifted to the story “Our Heroine” about nurse Nellie Forbush who falls in love with widowed French planter Emile de Becque. 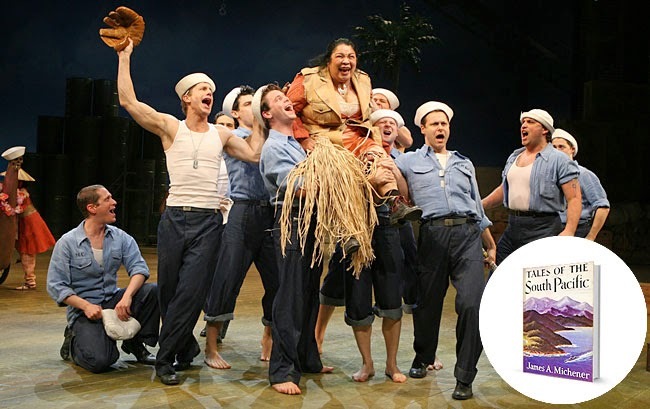 success story of a novel that became a famous Broadway musical. 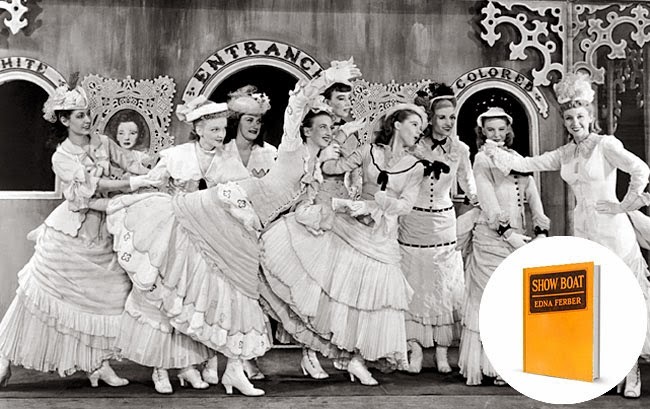 THE 1949 original starring Mary Martin and opera's Ezio Pinza ran for 1,925 performances. A 2008 Lincoln Center revival played for 996. I ALSO THOUGHT of "Show Boat." Based on Edna Ferber’s novel, this beloved classic revolutionized the Broadway stage when it opened in 1927 by integrating character and story with the songs by Jerome Kern and Oscar Hammerstein II. The topic of unhappy marriage as well as interracial marriage were controversial at the time. again and again on the musical theater stage. 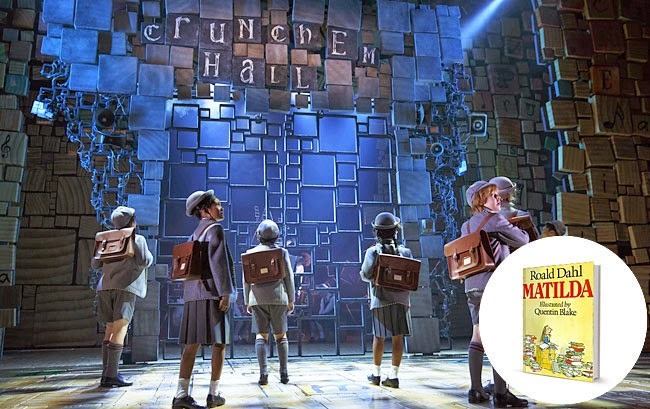 Then there's "Matilda," a musical based on Roald Dahl's children's book about a genius-level little girl. It made a fabulous musical when England's famed Royal Shakespeare Company commissioned the stage version featuring text by Dennis Kelly and songs by Tim Minchin. 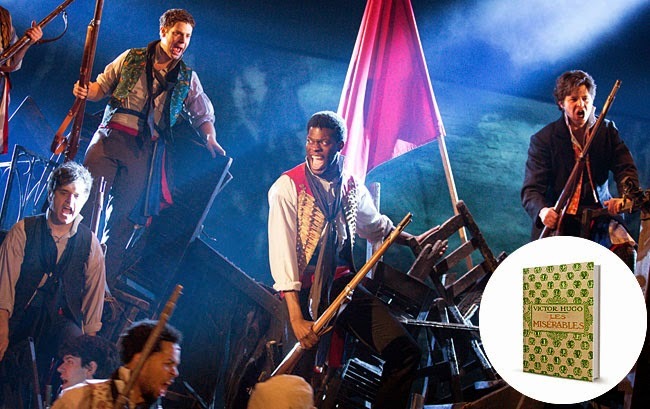 The London production was an immediate hit and the 2013 Broadway edition is still running. OUR STORY has the potential for a great Broadway musical -- throw in Buffalo Bill Cody, D.W. Griffith, Pickford, Chaplin, Pablo Picasso and other theatrical figures. The "real life" and fictional characters merge in "Lilian's Last Dance." Who knows what might develop?